Pixhawk� 4 is the latest update to the successful family of Pixhawk flight controllers. It is designed and developed in collaboration with Holybro and Auterion, optimized to run PX4. It comes preinstalled with the latest PX4 firmware. It features the currently most advanced processor technology from STMicroelectronics�, sensor technology from Bosch�, InvenSense�, and a NuttX real-time operating system, delivering incredible performance, flexibility, and reliability for controlling any autonomous vehicle. 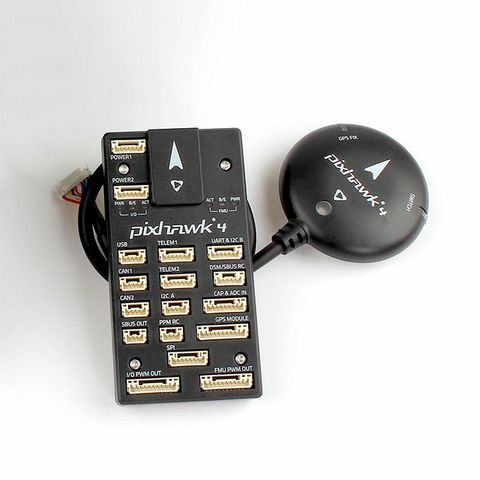 The Pixhawk 4's microcontroller now has a 2MB flash memory and 512KB RAM. With the increased power and RAM resources, developers can be more productive and efficient with their development work. More complex algorithms and models can be implemented on the autopilot.